Isobel Lomax and Dolly Biddle are two “mature” cable-access cooking show hostesses who have hated each other for thirty years, ever since Larry Biddle dated one and married the other. 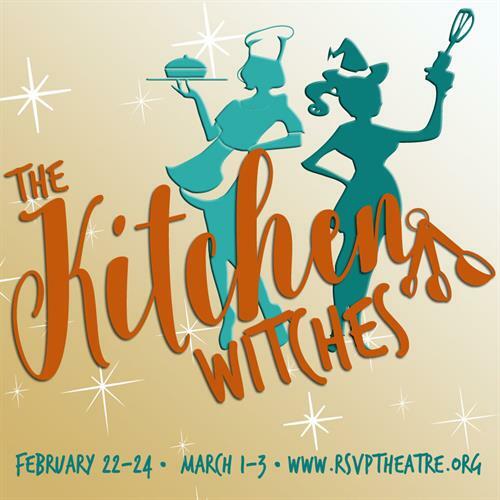 When circumstances put them together on a TV show called "The Kitchen Witches", the insults are flung harder than the food! Evening performances are February 22nd, 23rd and March 1st and 2nd at 7:30pm. Matinees on February 24th and March 3rd at 2:30pm. Adults $15, Seniors and Youth $12. Tickets available at Brightside Gallery or online.